Polymer clay was my first medium I enjoyed creating and sculpting with. There are no limits with this medium, if you can think of it you can create it. 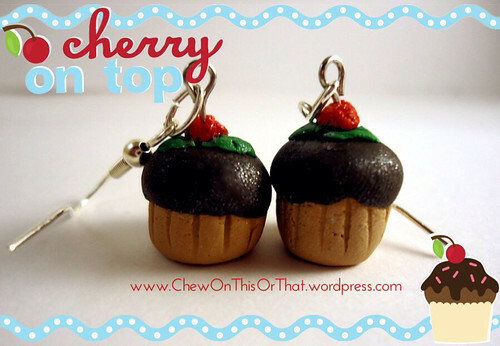 This is a set of chocolate cupcake earrings. They are $10 or $15 with the silver findings upgrade.